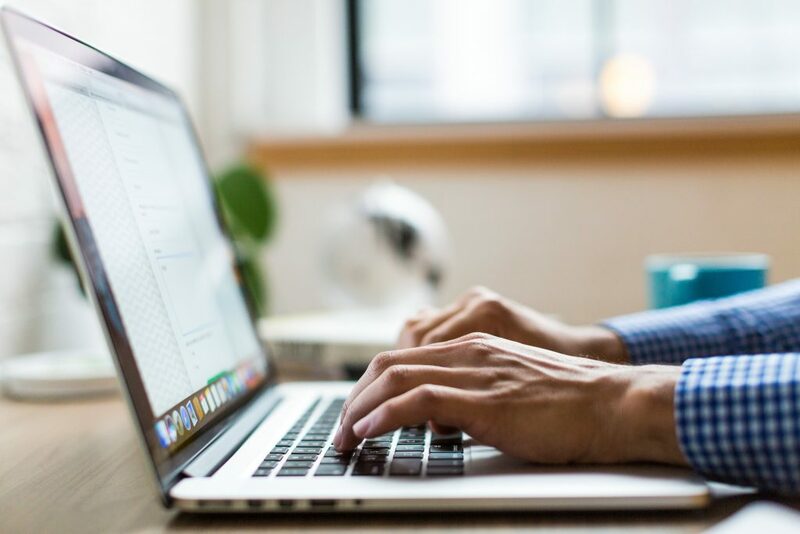 The Journal of Clinical Oncology recently published a study by the medical centre of Radboud University, which set out to identify the impact of individual internet-based mindfulness-based cognitive therapy (eMBCT) on reducing psychological distress in patients with cancer. The results of the study showed that there was a significant decrease in psychological distress and an improvement in the quality of life for patients who received eMBCT through Karify’s platform. Final results show that eMBCT is better than mindfulness-based cognitive therapy (MCBT) and more effective than the regular ‘treatment as usual’ (TAU), which cancer patients receive when suffering from mental health issues. The study was initiated as many cancer patients suffer from psychological distress, which in turn decreases their quality of life. Approximately 20 million people will be diagnosed with cancer on an annual basis by 2025. Roughly 30% of the diagnosed individuals suffer from psychological distress, which lowers their quality of life. As a third of all cancer patients suffer from psychological distress, these individuals need to seek help, however, do not always have easy access to mindfulness-based cognitive therapy. There are many limiting factors, such as financial means, geographic distances and time, which hinder easy access to such tools. eMBCT aims to reduce these limitations by being cost-effective, as well as allowing patients to work on their treatment whenever and wherever they want to. Throughout the 3 month time period of the study, 245 cancer patients were involved. In total 14 therapists were involved, of which; 7 provided both eMBCT and MBCT, 2 solely provided MBCT and the remaining 5 worked with eMBCT. In this study, the impact of regular mindfulness-based cognitive therapy (MBCT) and eMBCT were compared to TAU. Karify was used as the respective eMBCT tool throughout the study and showed that eMBCT is just as effective as regular MBCT. Both methods were proven to be more effective than TAU. The mindfulness module was used on Karify’s online treatment platform, which decreased psychological distress and increased cancer patients quality of life. 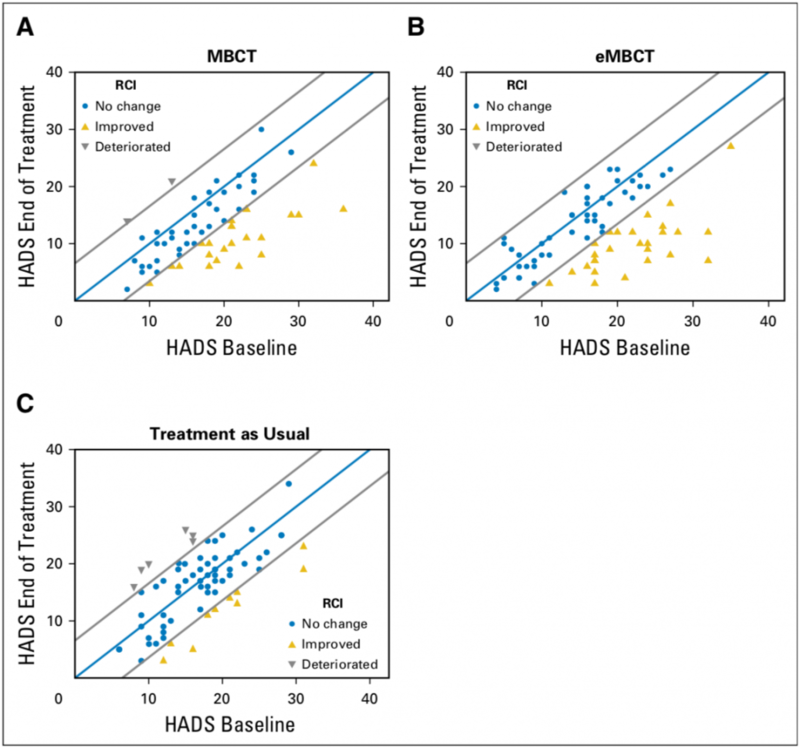 Overall, both MBCT and eMBCT are deemed as more effective than TAU when viewing the final results obtained through the HADS baseline study. Overall, Karify, which was the tool used for eMBCT managed to attain the best results, in terms of improvement. The eMBCT is able to significantly reduce cancer patients psychological distress and improve their quality of life.